Whether you own a corporate office, a luxury hotel, or an educational facility, you need an integrated system that you can rely on. There are too many important functions in your facility to handle on your own, many of which are too complex to program on a day-to-day basis. 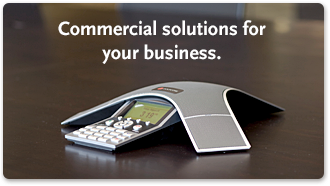 Let Crestron – the leading provider of control systems and automation – give your business an elegant platform that you and your employees will be able to operate with ease. 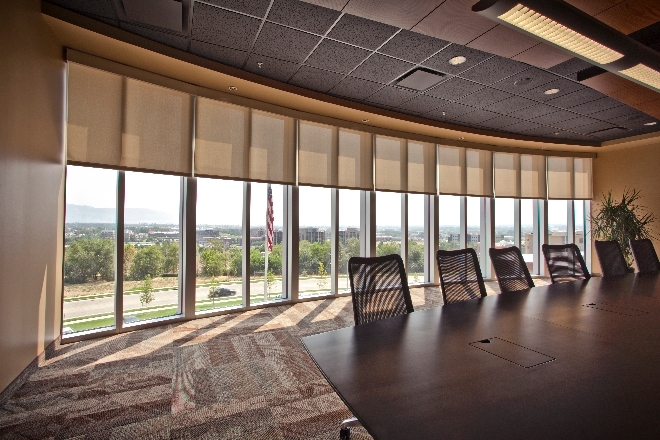 Crestron offers flexibility and design-friendly solutions for commercial lighting, energy management, and more. No matter the space of your building, you can operate your high-end conference room, intercom system, climate control, and even security systems with a simple mobile app or touch screen. Feel in control when you monitor your connected rooms from a distance. Hotel automation – Engineer your high-end hotel, restaurant, or night club to be more enjoyable for your guests while providing absolute facility control to you and your staff. Operate lighting, display signs, climate control, and security with ease. 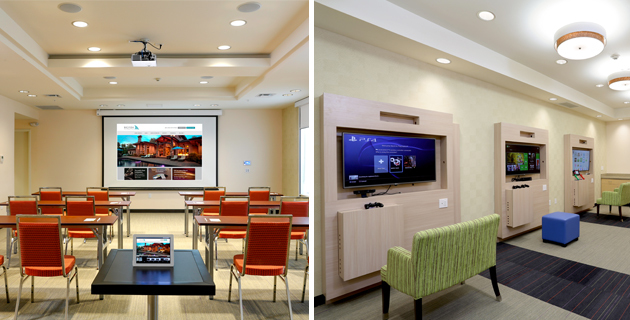 Presentation rooms, training rooms, conference rooms and ballrooms – Automate your projector, screen, blinds, and lighting to give your next presentation a boost. Event centers – corporate lighting, audio, and video at any stadium, theater, or other gathering center. Enjoy complete classroom integration – There’s a reason that 7 out of the 8 Ivy League schools use Crestron for their learning facilities. Crestron knows the education market better than any other automation company. Government solutions – Crestron offers secure platforms fit for government properties, military agencies, council chambers, etc. Healthcare management – Universities as well as hospitals benefit from state-of-the-art training rooms, meeting rooms, and overall facility management. 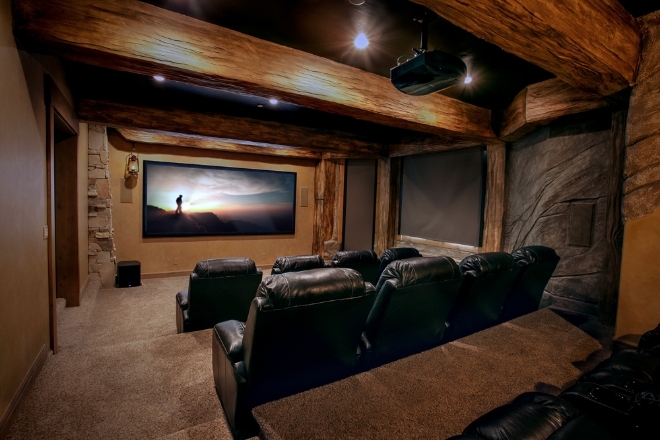 Home Automation – Conveniently operate your media room, audio system, climate control, security system, lighting, blinds and more with an attractive touch screen, keypad, or mobile app. 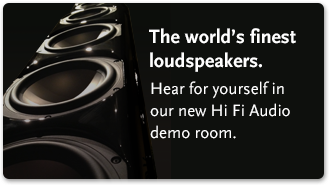 House of worship – Share the gospel message with advanced audio, video, and display systems. Crestron provides a design solution that will not interfere with the architecture of the sanctuary. Travel entertainment – Go the extra mile with your yacht or RV. 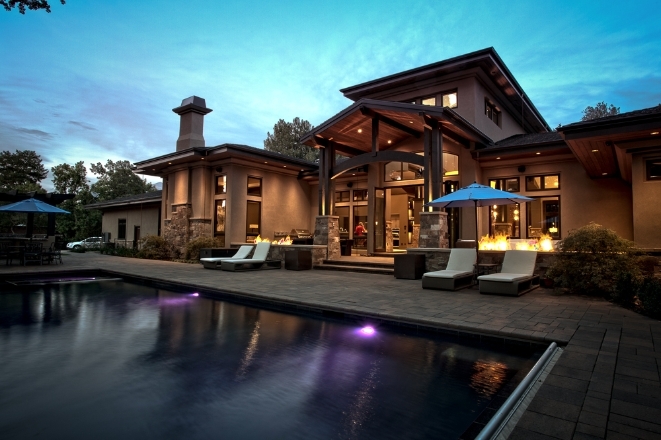 Enjoy complete control over your lighting, drapes, or audio system while you relax and unwind in your home away from home. 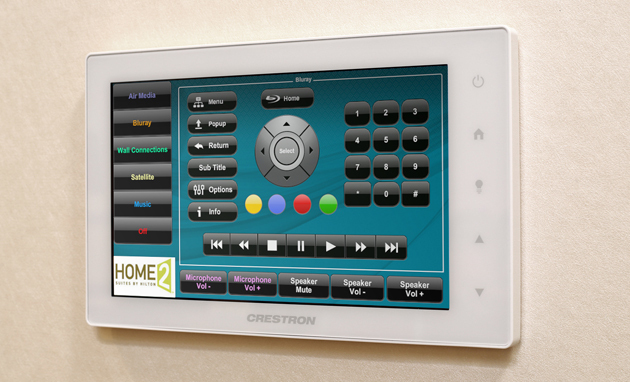 Big Fish is proud to install Crestron for your business needs. Do you have specific ideas on what you need to automate? 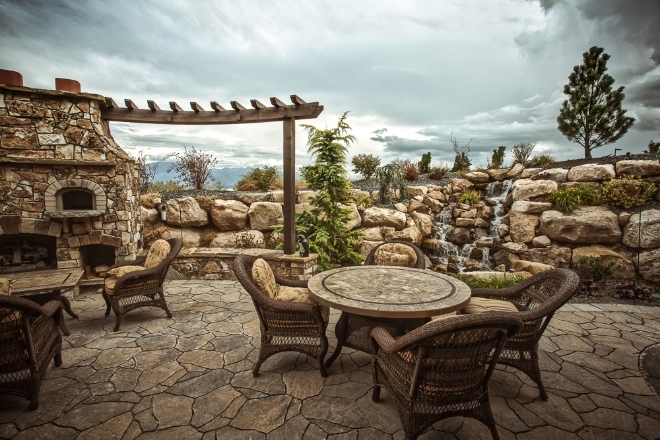 We would love to hear your ideas and give you a quote. Come visit our Draper showroom to see a live demonstration of Crestron today. Or, call us at 801-692-3474 (FISH).